Who are we? 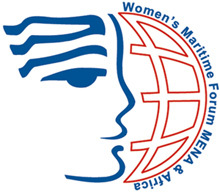 MENA & Africa AIWMF is a non- profit organization for enhancing Arab maritime women role in the maritime industry. Egypt , Jordan , Syria , Morocco , Sudan , Libya , Yemen. Our Objectives The main objective of the forum is to function as a lobbying and advocacy body on women's concerns at the national, regional and international levels.